Australian critters, social media stars, learn the downside of peanuts, fame. ROTTNEST ISLAND, Australia— Alyssa Beaty, a 20-year-old from Minnesota, admits her No. 1 reason for studying abroad in Perth was its beaches. Another top draw was the chance to bag a “quokka selfie,” a “like”-worthy photo alongside one of the region’s button-nose marsupials. Quokkas’ appeal is easy to see. Their puppy-dog eyes and a dopey grin are straight out of a Pixar movie. Their mild temperament and apparent fearlessness around humans—not to mention a taste for their snacks—make them cooperative subjects. On the other hand, touching and feeding the animals is illegal. 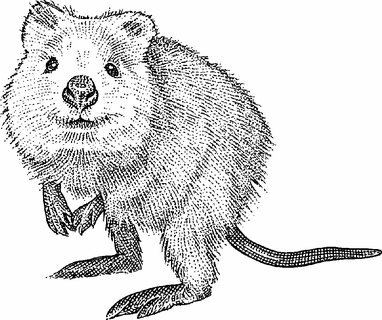 Quokkas are classified as vulnerable, and while they once proliferated in Western Australia, they all but disappeared from the mainland decades ago. Many visitors flout the no-feeding rule to lure a quokka into a frame. Islanders say more quokkas now hang out near the central square in search of food scraps. Oliver Merritt, a tour guide, says the patchy fur and glassy appearance of some of the creatures is a telltale sign of too much human food. “All the ones around the main settlement look tired, and that’s because they eat pies and chips,” Mr. Merritt said. This island nature reserve, located about 12 miles off Australia’s western coast, is thronged by young visitors taking pictures, which are a hot commodity on Facebook and Instagram, where “quokkaselfie” hashtags number in the thousands. Local officials say Quokkas attract much-needed tourism to the sprawling, largely empty state of Western Australia and its capital, Perth. The city of two million is Australia's natural - resources hub and was enriched by the country’s yearslong natural gas and mining boom, but it has recently been stung by the commodities downturn. Officials hope tourism will wean it off its traditional reliance on raw materials. Liam Bartlett, a local journalist and TV correspondent, earlier this year wrote a column slamming an advertising campaign for the region aimed at European tourists that featured a pair of grinning quokkas. “What a treat [tourists] are in for when they arrive at the bakery and see them scavenging food scraps,” Mr. Bartlett wrote. 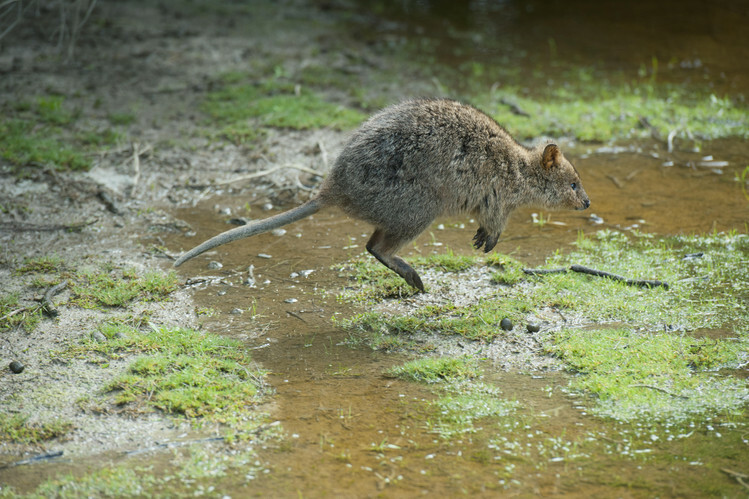 On a recent visit, at least half a dozen quokka photographers—many were millennials from countries across Asia—could be seen chasing, coaxing or cajoling one of the 12,000 or so animals that roam the island. The island’s general store is perpetually out of selfie sticks. “One person starts it and it’s a craze that catches on,” explains Nicholas Png, 25, who is from Singapore and studies at the local Curtin University. 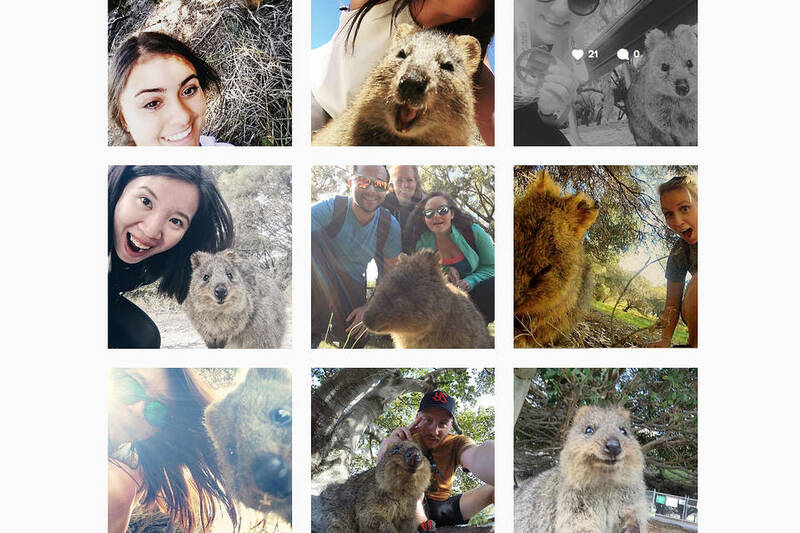 Clutching her smartphone, arm outstretched, fellow Singaporean Miranda Siow, 20, circled a quokka. As it sniffed and approached, she craned lower for just the right shot—until the creature lost interest, turned tail and hopped away. Ms. Siow was deflated. “It was a good attempt,” she told Mr. Png and another friend, who had parked their bikes along a dirt road awaiting her selfie attempt. She had better luck after a second try. Last year, in an episode that enraged locals, a pair of French tourists was arrested for filming themselves setting a quokka on fire. The quokka was injured; the tourists spent a week in jail, according to local news reports. Most visitors seem to simply be looking for social-media fodder—or at least a snapshot to send to the family. 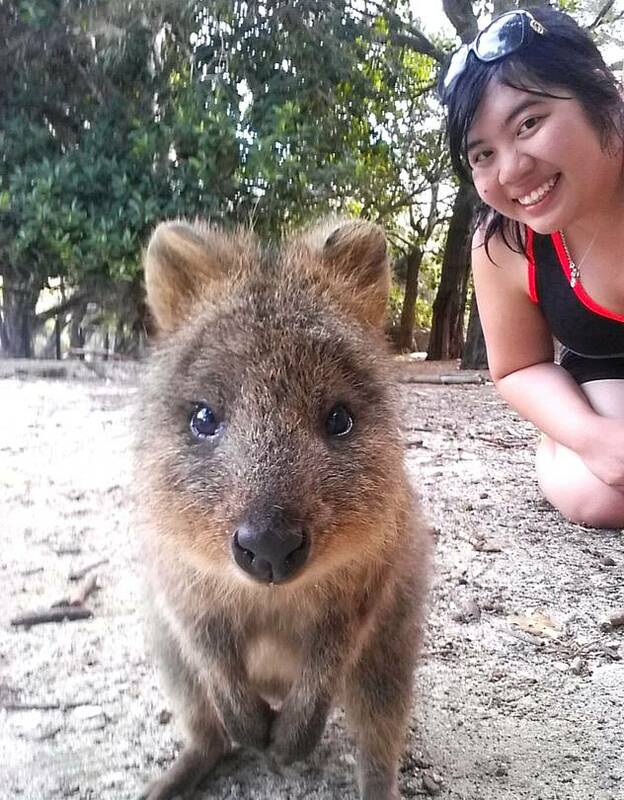 One afternoon, Mei Guo, 28, joined a “quokka walk” around the island to look for photo opportunities. Periodically, the Taiwan native spotted a quokka and dashed into the forest.